Daniel Wheeler : Surfboard Riding at Papara, Tahiti, 1835. Memoirs of the Life and Gospel Labours of the Late Daniel Wheeler, a Minister of the Society of Friends. The Society of Friends, Philadelphia, 1842. Daniel Wheeler and his son, Charles, embarked from England in 1833 aboard the Henry Freelingas missionaries of the Society of Friends to the islands of the Pacific. In 1835, after stopping at Papeete, Tahiti, he extended his missionary work to the Taiarapu penisular where Wheeler visited several villages, often by boat or canoe. While landing at Papara, he witnessed surfboard riding on the outside reefs, were the prone riders were "hurled with great velocity to considerable distances" on "rolling, curling breakers." Wheeler appears to be familiar with surfboard riding, and assumes the same for his readers, omitting any description of the board or the paddling-out procedure, common in most early reports. As a missionary to the Pacific, he surely read Rev. William Ellis' Polynesian Researches, published in 1829, with its detailed account of surfboard riding in Tahiti, and may have seen the 1831 edition with a similar account from Hawai'i and the illustration Sandwich Island Surf-riders. At the time of his entry Wheeler may have already seen surfboard riding in Tahiti, and in this instance his account was prompted by the quality of the surf and surfers. Whereas early reports from Hawai'i usually refer to surfing taking place at beaches or over the coral reefs, he is consistent with Eliis (1829) and Moerenhout (1837) in observing that the Tahitians' preference was to surf at an "opening of the reef." The outer reefs at Paparaa are rated at wannasurf.com for "Pros or kamikaze only," with rides on a good day up to 300 metres. Whereas the website accredits its "discovery" to Tahitian surfers Poto, Raimana Van Bastoler and Manoa Drollet; it seems that this break was first ridden by their forbears many generations earlier. in 1891 Henry Adams and artist, John La Farge, travelled together to Tahiti. Adams, in a letter dated 23rd March 1891, wrote that, while there, he had neither "seen or heard of .. surf-swimming." Two weeks later, at Papara, La Farge described girls swimming in the mouth of a stream, while "the boys and one of the men ... were carried along the shore leaning on their (surf)boards." 1891 John La Farge : Surfriding at Papara, Tahiti. 1891 Henry Adams : Demise of Hawaiian and Tahitian Surfriding. Rose early, and after breakfast took leave of the family, and embarked forthwith for Papara. We reached Mairi Pehe (about firty miles) before two o'clock, P. M. ; Samuel Henry rode on horseback to the Mairi, whilst we pushed on in the boat, intending to meet together on the spot. This Mairi was, during the days of idolatry, considered the most sacred place upon the island : it is spoken of by Captain James Cook, who visited it when in its full splendor. At present it appears to be nothing more than a stupendous heap of stones, almost hidden with bushes and trees that have grown over it and the neighborhood of it; where formerly human sacrifices were plentifully offered. Parting with Samuel Henry, we continued our course to Papara, and passed through the opening of the reef with a strong current, before the sun went down. At this place the boys were amusing themselves in the surf, by lying at full length on their backs upon boards, and letting the rolling, curling breakers whirl them precipitately down the liquid slope to the gulf below. lodged from their boards; while the unskilful would be impetuously rolled over by the curling wave, and for a time altogether hidden in the foam below. We were received with kindness by the ancient missionary, John Davies, at whose house we passed the night. - viewed 17 November 2012. Only breaks with a typhoon coming from Samoa (West swell) with a huge swell (20 ft). Discover and surf by Poto, Raimana Van Bastoler and Manoa Drollet. This break may not have a reputation like its big brother Teahupoo but it can get pretty dam knarly so only dare to surf it if you have experience on your side. Usually it's a left with S to SW swells accessible by paddle. You will be alone, all the kids stay at Paparaa beach-break. It's a big bowl with tube. Be careful at the end of the wave. The good point, if you are taken by the wave, you finish in deep water. 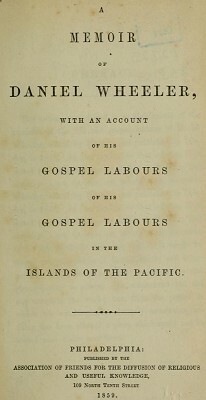 With an Account of His Gospel Labours in the Islands of the Pacific. Association of Friends for the Diffusion of Religious and Useful Knowledge, Philadelphia, 1859. 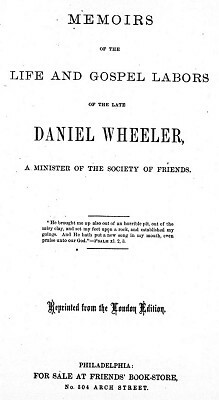 The volume now offered is an abridgment of the memoirs of the life and gospel labours of Daniel Wheeler, edited by his son, and published in London in 1842.
of his life, no doubt believing that in it might be traced many instances of Divine mercy and interposition which could not but be instructive and strengthening to others. He commenced but did not complete the work; but, from the period at which his autobiography abruptly terminates, no- thing has been allowed a place which could not be stated with entire confidence. VISIT TO THE PACIFIC ISLES. The necessary arrangements for the voyage to the South Seas having been completed, Daniel Wheeler embarked on board the "Henry Freeling" a packet of 101 tons register. This vessel had been purchased and fitted up expressly for the purpose, through the liberality of a number of Friends. Accompanied by his son Charles, who believed himself called to this step "by that gracious Being who has an undoubted right to dispose of his creatures according to the good pleasure of His will," he sailed from the river Thames the 13th of the Eleventh month, 1833.
plan for accomplishing our visit to the remaining and most distant districts upon the island of Tahiti. It was concluded best for us to set off this afternoon towards Tiarei. As the wind blew fresh, about sunset was considered the proper time to proceed as far as Point Venus, presuming the strength of the wind would lessen as the evening approached. It was proposed that we should remain at Point Venus until two o'clock in the mornings and then push forward so as to reach Tiarei about day-break, before the trade-wind set in, which is mostly pretty strong, and generally from the quarter to which we were bending our course. All things being ready, we left the "Henry Freeling" soon after four o'clock, the wind having materially lessened by the fall of some rain, and it still continued to get lighter as we proceeded. The principal motive for wishing to stop by the way at all, was to lessen the fatigue of these men, by dividing the journey into two parts, so that they might rest between them ; but they were well aware that the whole distance could be performed at once, in calm weather, with much more ease than if divided, and time given for rest, if the wind and sea should rise against them, although but in a moderate degree. whence the celebrated navigator, Captain James Cook, observed the transit of the planet Venus on the disk of the sun. Opposite this part of the coast of Tahiti, which we had next to traverse, there is no sheltering coral-reef for its protection; so that the remainder of our journey was now exposed to the whole beat of the Pacific Ocean, and can only be performed when the weather is moderate. broke upon the coast near to which he mostly kept. few minutes placed us once more upon terra firma. OF ARDENT SPIRITS — ISLAND OF EIMEO. The sun was nigh setting when they reached Taiarapu the missionary station to which they were destined ; but the beauty and various scenery of this part of the island served to enliven the last hour of a long day's exposure to the sun. The stupendous mountains however steep and rugged were clothed in the richest and fullest manner with every kind of forest and fruit tree which flourish in these tropical climates; where perpetual summer reigns ; their luxuriance only now and then interrupted by falls of water hurrying down the steep declivities, in beautiful cascades, to the vales imderneath ; but the noise of these numerous cataracts is at once overpowered and lost in the roar of the mighty Pacific, whose waves incessantly thunder in endless succession upon the shores and reefs of Tahiti.
" At four o'clock, p. m., the people assembled in the meeting-house, where I had full opportunity to clear my mind towards them. was needful that my certificates should be read, as none of the people could have previously heard them. They were read, accordingly, with ample explanation, by J. M. Orsmond, before I stood on my feet. At the breaking up of the meeting in the afternoon, I told J. M. Orsmond that I felt so much love to these people, I thought I should see them again ; when he proposed to meet me at the out-station on the other side of the peninsula next First day but one, where he said he would collect the whole of the people from this place, and from the two other stations. I could not speak decisively at the moment, though expectation was given that it might probably be so. Since this conversation I have recollected that, on leaving Tiarei last First day, we were told that the people from an out-station of that district had just arrived, in expectation that we should be again at the meeting in the afternoon. inquiry that the Tiarei out-station can be visited at the same time, but that it will require fine weather and a smooth sea to effect it. On their return, they passed through an opening of the reef, with a strong current, where the boys were amusing themselves in the surf, by lying at full length on their backs upon boards, and letting the rolling, curling breakers whirl them precipitately down the liquid precipice to the gulf below. Some of the boys best acquainted with this slippery sport, by watching the proper moment to launch forth, were hurled with great velocity to considerable distances, without being dislodged from their slippery board ; while the unskilful would be impetuously rolled over by the curling wave, and for a time hidden in the foam below. Geoff Cater (2012) : Rice and Perkins : The men of Hawaii, 1917.